Making your home safe and secure is a priority, and with our high security, multi-point locking door range you and your family have the strength and reliability of robustly tested door systems. Our residential doors are available in a range of colours and you can choose from a vast array of decorative panels and glazing options. 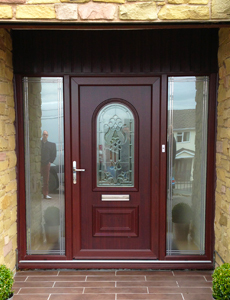 Various side panel and threshold options complete your stunning entrance door. A thorough on-site survey allows you to make full use of the space available. 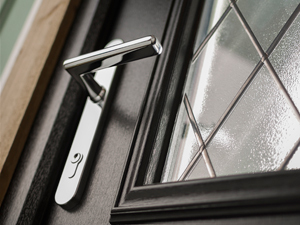 Composite doors take you to the next level of security, with door ‘slabs’ up to a thickness of 68mm reinforced with steel, fibre glass, hardwood and high density foam. Available in a wide range of designs and bold colours you will be spoilt for choice. Planet offer you ‘The Gallery Collection’, ‘Solidor’ and ‘Rockdoor’ as your options. 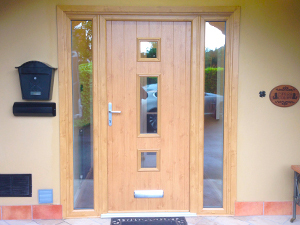 "Night latch locking, thumb turns and a range of furniture options make your door complete. Aluminium doors are also available in any single RAL colour and the ‘Beaufort’ range offers slim elegant lines combined with strength and security."